The New York City speakeasy, Employees Only, is making its way to the West Coast with this West Hollywood location. Employees Only, 7953 Santa Monica Blvd., West Hollywood, CA 90046, no phone. 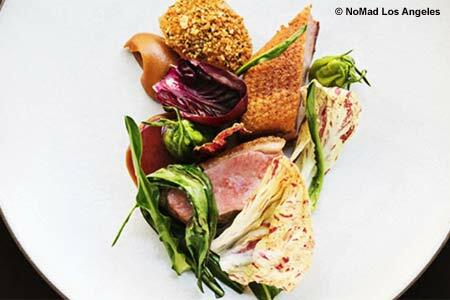 Building upon its success in New York City, NoMad Los Angeles has landed in downtown LA. The property boasts a dining program spearheaded by chef Daniel Humm and restaurateur Will Guidara of Eleven Madison Park, one of GAYOT's Top 40 Restaurants in the U.S. The Mezzanine, the most formal option, overlooks the lobby and serves dinner, while the lobby restaurant offers breakfast, lunch and dinner and the Giannini Bar specializes in classic and original cocktails. NoMad Los Angeles, NoMad Los Angeles, 649 S. Olive St., Los Angeles, CA 90014, 213-358-0000. Randy Clement (Silverlake Wine, Everson Royce Bar), Matt Molina (Everson Royce Bar, ex-Mozza) and Nancy Silverton (Mozza) have teamed up on Triple Beam Pizza, a Roman-style pizza joint in Highland Park. Triple Beam Pizza, 5916 N. Figueroa St., Los Angeles, CA 90042, no phone. Tom Bergin’s Tavern has announced it will be limiting opening hours in preparation for its "farewell" St. Patrick's Day. 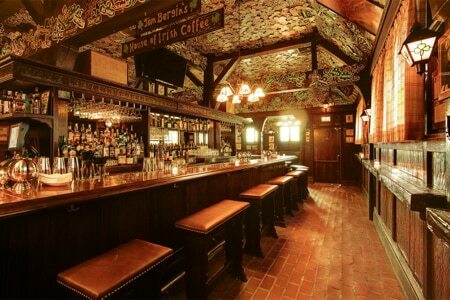 Tom Bergin’s Tavern, 840 S. Fairfax Ave., Los Angeles, CA 90036, 323-936-7151. Thomas Keller's Bouchon in Beverly Hills closed at the end of 2017, along with Bouchon Bakery and Bar Bouchon. 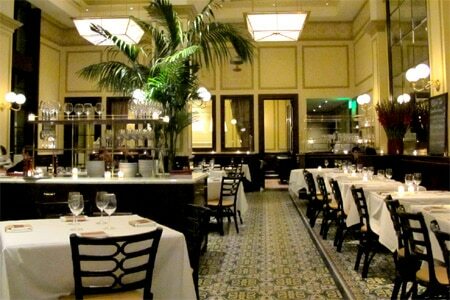 Bouchon also has locations in Las Vegas and Yountville, CA. Bouchon, Garden Building, 235 N. Canon Dr., Beverly Hills, CA 90210, no phone.